Depression era Willys are a popular foundation for hot rods intended for gasoline-only drag racing events. They are typically stripped of a lot of weight, and the front end of the car is raised and set on a solid front axle. The engine is usually replaced with a more powerful one and a supercharger is added. Founded by John Willys in 1908, Willys-Overland Motors was a U.S. automobile company headquartered in Toledo, Ohio. This company is chiefly famous for its production of military Jeeps for World War II and (later) civilian versions of those Jeeps, but among hot-roders the Willys cars produced prior to the war are highly sought after as well. 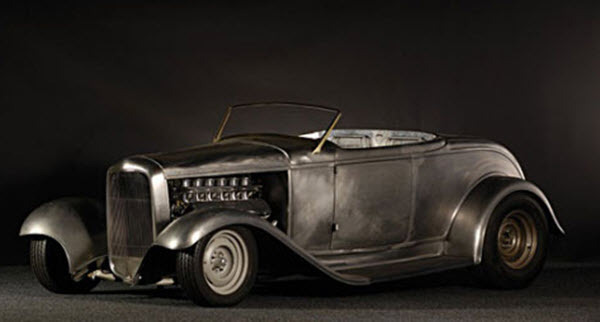 Depression era Willys makes very cool hot rods. They are cheap to buy and anyone can afford to buy a Willys. You do not have to a millionaire day trader, ceo or stock broker to do so. You can buy a car for a couple of thousands and turn it into a hot rod yourself. Their simple design and durable steel frame make them easy to work with. When the Great Depression swept in over the United States, several of Willys-Overland’s automotive brands became much less sought after than before. By 1933, Willys decided to make a break with the past and focus on something that was more suitable for the new economic climate: the 4-cylinder Willys 77 with a 100 inch wheel-base. Plans were also made for a 6-cylinder Willys 99, but since the company was in such dire straits financially they could only afford to put the Willys 77 into production. The launch of the Willys 77 was successful enough for the company to survive, although severely reduced in size compared to it’s heydays before the depression. A strongly contributing factor to the relative success of the Willy 77 was that Willys-Overland had managed to keep the price tag down to less than $500. The car also offered good mileage; 25 miles per gallon. The four-cylinder 145 cubic-inch engine of the Willy 77 produced a mere 48 hp, but the top-speed for the car was 65 mph. This would eventually catch the attention of the early hot rodders – the so called “lake racers”. For 1937, a redesigned version of the Willys 77 was launched. The body was now more streamlined and the windows slanted. A one-piece, rounded hood hinged transversely at the rear, and in the front the car had been given fender-embedded headlamps. The 1930 model was marketed as an Overland or Willys Overland rather than just a Willys. It had an increased wheel-base (102 inches) and Lockheed hydraulic brakes, but the change that garnered the most attention was the introduction of a spiced-up 134 DID four-cylinder 61 hp engine. Willys Americar was produced from 1937 to 1942, but only the 1941-1942 models were called Americar back then. (USA entered World War II in late 1941 and the car’s name was changed as an act of patriotism.) Willys Americar was available as a sedan, coupé, station wagon and pickup truck. Willys Americar eventually became a popular hot rod base, not because it was such a great car but because of its failures. The engine was notorious for malfunctioning, it was difficult to find reposition parts and Willys Overland Motors didn’t really provide much assistance to Willys Americar owners. This made people more eager to start tinkering with the car on their own and customize it in various ways. Especially the coupé version of the Willys Americar was, and still is, a very popular base for hot rods. Today, it is actually very difficult to find a Willys Americar that is even close to somewhat original condition. When the first Willys Americar was launched in 1937, the strong influence from its predecessor Willys 77 was evident. The following year, Joseph W. Frazer joined Willys Overland Motors and ordered various changes to make the Willys Americar more modern-looking and compact. During the following years, the car gradually became more and more Ford-like. By 1940, it strongly resembled something from Ford’s DeLuxe series. After 1942, Willys Overland Motors produced Jeeps for the military instead of making civilian cars. The 1942 Willys Americar was the final civilian passenger car from Willys Overland Motors until Willys Aero was launched in 1952.